Fri 6 Deposit payroll tax for payments on Jan 1-3 if the semiweekly deposit rule applies. Wed 11 Deposit payroll tax for payments on Jan 4-6 if the semiweekly deposit rule applies. Fri 13 Deposit payroll tax for payments on Jan 7-10 if the semiweekly deposit rule applies. Tue 17 Individuals: Pay the final installment of your 2011 estimated tax. Use Form 1040-ES. Tue 17 Farmers and fishermen: Pay your estimated tax for 2011. Use Form 1040-ES. Tue 17 Employers: Deposit payroll tax for Dec 2011 if the monthly deposit rule applies. Thu 19 Deposit payroll tax for payments on Jan 11-13 if the semiweekly deposit rule applies. Fri 20 Deposit payroll tax for payments on Jan 14-17 if the semiweekly deposit rule applies. Wed 25 Deposit payroll tax for payments on Jan 18-20 if the semiweekly deposit rule applies. Fri 27 Deposit payroll tax for payments on Jan 21-24 if the semiweekly deposit rule applies. Tue 31 File Form 720 for the fourth quarter of 2011. Tue 31 Furnish Forms 1098, 1099 and W-2G to recipients for certain payments during 2011. Furnish Form W-2 to employees who worked for you during 2011. Tue 31 File Form 730 and pay the tax on wagers accepted during Dec 2011. Tue 31 Deposit any FUTA tax owed through Dec 2011. Tue 31 File Form 2290 and pay the tax for vehicles first used in Dec 2011. Tue 31 Files Forms 940, 941, 943, 944 and/or 945 if you did not deposit all taxes when due. Wed 1 Deposit payroll tax for payments on Jan 25-27 if the semiweekly deposit rule applies. Fri 3 Deposit payroll tax for payments on Jan 28-31 if the semiweekly deposit rule applies. Wed 8 Deposit payroll tax for payments on Feb 1-3 if the semiweekly deposit rule applies. Fri 10 Deposit payroll tax for payments on Feb 4-7 if the semiweekly deposit rule applies. Fri 10 Employers: Employees are required to report to you tips of $20 or more earned during Jan.
Fri 10 File 2011 Forms 940, 941, 943, 944 and/or 945 if you timely deposited all required payments. Wed 15 File a new Form W-4 if you claimed exemption from income tax withholding in 2011. Wed 15 Furnish Forms 1099-B, 1099-S and certain Forms 1099-MISC to recipients. Wed 15 Deposit payroll tax for Jan if the monthly deposit rule applies. Wed 15 Deposit payroll tax for payments on Feb 8-10 if the semiweekly deposit rule applies. Thu 16 Begin withholding on employees who claimed exemption from withholding in 2011 but did not file a W-4 to continue withholding exemption in 2011. Fri 17 Deposit payroll tax for payments on Feb 11-14 if the semiweekly deposit rule applies. Thu 23 Deposit payroll tax for payments on Feb 15-17 if the semiweekly deposit rule applies. Fri 24 Deposit payroll tax for payments on Feb 18-21 if the semiweekly deposit rule applies. Tue 28 File information returns, including Forms 1098, 1099 and W-2G for payments made during 2011. Wed 29 File Form W-3 with Copy A of all Forms W-2 issued for 2011. Wed 29 File Form 8027 if you are a large food or beverage establishment. Wed 29 File Form 730 and pay the tax on wagers accepted during January. Wed 29 File Form 2290 and pay the tax for vehicles first used in January. Wed 29 Deposit payroll tax for payments on Feb 22-24 if the semiweekly deposit rule applies. Thu 1 Farmers and fishermen: File 2011Form 1040 and pay any tax due. However, you have until Apr 17 to file if you paid your 2011 estimated tax payments by Jan 15, 2012. Fri 2 Deposit payroll tax for payments on Feb 25-28 if the semiweekly deposit rule applies. Wed 7 Deposit payroll tax for payments on Feb 29 – Mar 2 if the semiweekly deposit rule applies. Fri 9 Deposit payroll tax for payments on Mar 3-6 if the semiweekly deposit rule applies. Mon 12 Employers: Employees are required to report to you tips of $20 or more earned during February. Wed 14 Deposit payroll tax for payments on Mar 7-9 if the semiweekly deposit rule applies. Thu 15 Corporations: File Form 1120 for 2011 calendar year and pay any tax due. For automatic 6-month extension, file Form 7004 and deposit estimated tax. Thu 15 Employers: Deposit payroll tax for Feb. if the monthly deposit rule applies. Thu 15 S Corporations: File Form 1120S for 2011 calendar year and pay any tax due. Furnish a copy of Sch. K-1 to each shareholder. File Form 2553 to elect S Corporation status beginning with calendar year 2012. Thu 15 Electing Large Partnerships: Furnish Sch. K-1 (Form 1065-B) to each partner. Fri 16 Deposit payroll tax for payments on Mar 10-13 if the semiweekly deposit rule applies. Wed 21 Deposit payroll tax for payments on Mar 14-16 if the semiweekly deposit rule applies. Fri 23 Deposit payroll tax for payments on Mar 17-20 if the semiweekly deposit rule applies. Wed 28 Deposit payroll tax for payments on Mar 21-23 if the semiweekly deposit rule applies. Fri 30 Deposit payroll tax for payments on Mar 24-27 if the semiweekly deposit rule applies. Sat 31 File Form 2290 and pay the tax for vehicles first used in February. 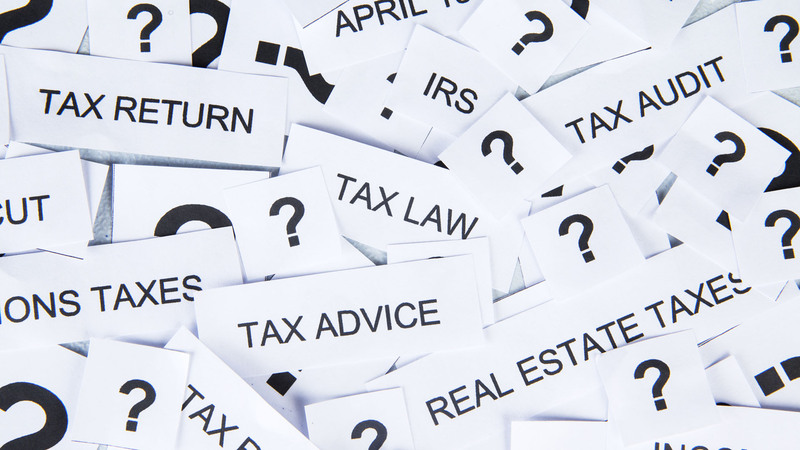 Sat 31 File Form 730 and pay the tax on wagers accepted during February.